In the public version iOS 10, 3D Touch can now be used with all third-party app icons, even if the application does not offer 3D Touch support. 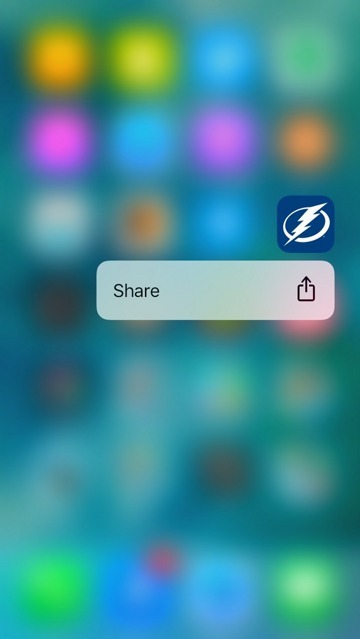 By default, iOS 10 displays a new "Share" link when an app icon is given a firm press, allowing users to bring up a share sheet and send a link to that option on the App Store. Apple's own apps have been expanded with home screen widgets that can be displayed via 3D Touch, and third-party apps like Dark Sky are already taking advantage of Apple's APIs to display in-app data on the home screen. 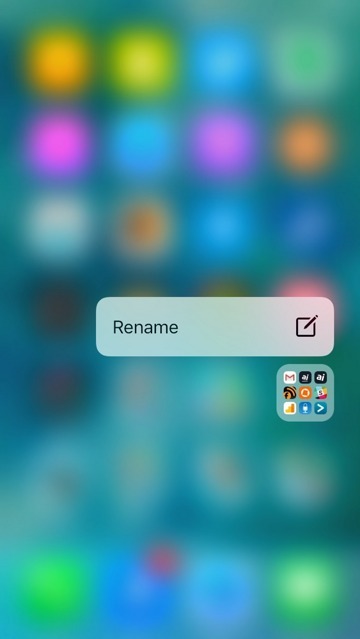 In another new addition for 3D Touch, pressing on a folder pops up a "Rename" shortcut. Selecting it automatically opens the folder, with all of the apps in "jiggle" mode for management, with the name of the folder highlighted and software keyboard displayed for quickly renaming. Finally, 3D Touch also adds the ability to quickly clear all notifications in iOS 10. Simply swipe down from the top of the screen to show Notification Center, then firmly press the 'X' button in the upper right to present a new "Clear All Notifications" option. Selecting this works as expected: All notifications, for all days, are wiped from Notification Center. Previously, in iOS 9, users had to clear notifications on an app-by-app or day-by-day basis. 3D Touch can also be used to access advanced settings via the iOS 10 Control Center. They include varying levels of flashlight brightness, quick timer lengths, and advanced HomeKit accessory controls. 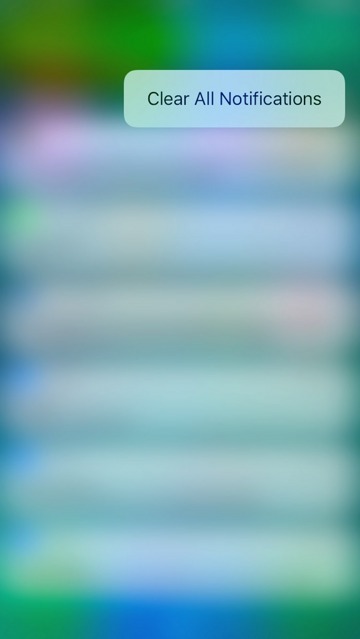 New rich notifications on the iOS 10 lock screen are also 3D Touch compatible, giving users the ability to quickly open and address items, such as text messages, without the need to unlock an iPhone.